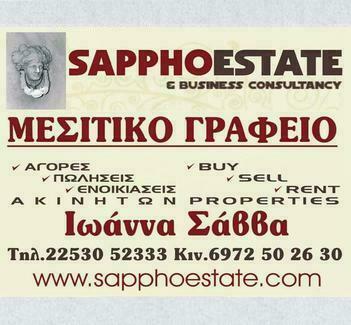 Full Description: Sappho Estate offers you a sizeable plot land for sale.
. In more detail, the plot is situated at Faros in Molyvos village . .Molyvos is a very popular tourist destination, and is thus very well developed in terms of infrastructure. This Greek plot is distanced 0 meters from the sea and elevated on a hill with a fantastic vista and panorama sea view from three sides. On a clear day one can see the Turkish costline. This specific plot land can be best used for investment in both commercial as well as residential construction. For example, it is possible to build a housing complex of 20 middle-sized houses and/or a large/medium hotel complex on the parcel, including other facilities and infrastructure. The possibilities to divide this large plot into and up to 6 smaller parcels while each one maintains its construction right, exists. This listing has been viewed 22251 times.